Quote by Leslie Harley, Founding President, Families for HoPE, Inc.
Sammy was born in 2003 and was diagnosed with mild semi-lobar holoprosencephaly (HPE). HPE is a disorder characterized by the failure of the prosencephalon (the forebrain of the embryo) to develop. During normal development, the forebrain is formed and the face begins to develop in the fifth and sixth weeks of pregnancy. HPE is caused by a failure of the embryo’s forebrain to divide to form bilateral cerebral hemispheres (the left and right halves of the brain), causing defects in the development of the face and in brain structure and function. We learned of Sammy’s diagnosis during a routine ultrasound at 24 weeks gestation. We were told that he would most likely be stillborn, and if he did survive to birth, he might not live long. We were told to expect severe mental retardation and facial deformities. We were told to be prepared to love a child who might never be able to show us his love in return. After his birth, Sammy was diagnosed also with secondary conditions including epilepsy, cerebral palsy, diabetes insipidus, panhypopituitarism, and hypothyroidism. Sammy also experienced a condition called short-bowel syndrome which is the result of a bowel perforation due to necrotizing enterocolitis when he was just seven days old. In his lifetime, Sammy also had a tracheostomy, g-tube, vesicostomy, and a vagus nerve stimulator. 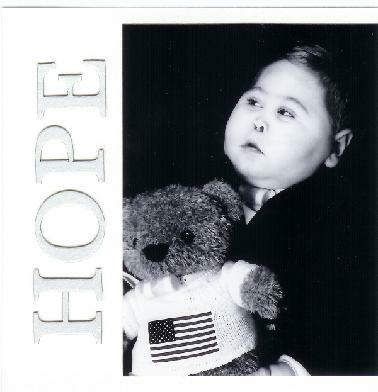 At 4 years and 9 months of age, Sammy developed acute respiratory distress syndrome (ARDS) and sepsis. Ultimately, these conditions took his life. Sammy was a fighter from the very start and a boy of unbelievable courage. He was a boy who was prayed into this world, and fervent prayer sustained him throughout his life. Sammy had “quality of life” with constant love surrounding him. This love came not only from his parents, but also from grandparents, extended family, home health nurses, therapists, teachers, and even school bus drivers. It truly took a village at times to raise him, but Sammy didn’t just take from society; he contributed to the betterment of society. He was involved in the community–raising funds for his preschool, his church, his hospital, and his condition. Sammy even did his part to stimulate the economy; we often joked that he sent doctors on vacations and helped send their children through college! He also lowered the rate of unemployment by keeping at least 5-6 home health nurses employed at any given time. In turn, these nurses paid taxes and purchased homes and new cars. He had frequent visitors stopping by to do their jobs–from the oxygen delivery man to the UPS and FedEx drivers! Oh, the places Sammy would go! Orlando, Florida (Disney World, Universal Studios, Give Kids the World), Cincinnati, Metamora, Kokomo, and Spencer, Indiana. The park, the Children’s Museum, the zoo, the butterfly gardens, Newport Aquarium. (Sammy interacted with nature, and nature interacted with Sammy.) A Colts game and a wresting match–and Sammy was one of the wrestlers. The Shrine Circus, Build-A-Bear Workshop, Potter’s Paint Shop, Nancy Noel Art Gallery, Gray’s Cafeteria, Waterman’s Farm and pumpkin patch. Tony Stewart Racing, Anderson Speedway, and Indianapolis Motor Speedway. Sledding in the back yard, touching worms in the garden, petting the dog and cat, leaving handprints in cement. Making his very own pizza at Pizza Hut, picking apples at Anderson Orchard, and posing in front of a Corvette at Blossom Chevrolet. A sleepover with his friend, Reina. Wagon rides in the driveway, horseback riding, a Downtown carriage ride to see Christmas lights, a trip in a Hummer limo, a school bus and a 747 jet. Sammy’s photo appeared in the newspaper, his life story was told twice on the evening news, his courage was profiled on a radio broadcast, and he even made a brief appearance in a DVD distributed to high school classrooms across the US. Sammy was a teacher, minister, counselor, bridge builder, peacemaker and life changer. He was a wonderful gift and blessing. He was a little boy who couldn’t walk or talk, yet he touched hearts. His body was weak, yet his spirit was strong. He inspired others to love deeply and to give more of themselves, yet he never asked for anything in return. A picture hung in his bedroom containing a quote from Pinnochio, “To become a real boy, you must prove yourself brave, truthful, and unselfish.” Sammy wasn’t a medical diagnosis, he was a real boy and a hero! That was a very touching story about Sammy. It brought tears to my eyes because I didn’t know Sammy and Gary were born in the same year. Gary is going through some of the same things Sammy went through currently respiratory wise. I have to keep my faith and pray things are going to be ok . Thanks for posting Sammy story. It gave me a few answers to some unanswered questions.